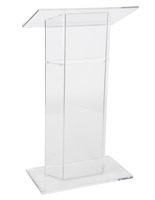 This acrylic frosted podium makes a beautiful statement at a graduation, during a lecture, or at other special events where presentations are given. 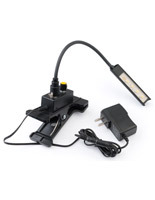 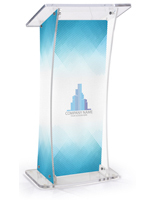 This pulpit has a modern clear style that puts all the focus on the presenter. 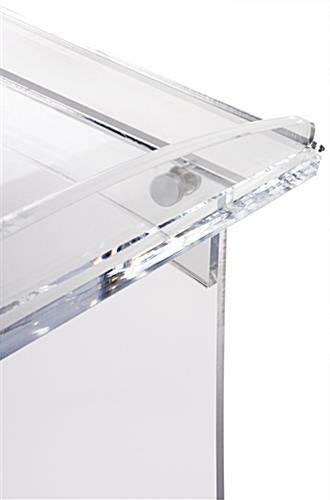 A 24" x 15" reading surface features a raised edge to keep laptops and touch devices, as well as notes, from sliding off. 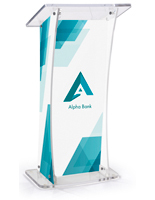 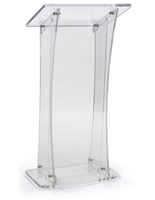 This acrylic frosted podium has a curved panels held together by silver sign standoffs. 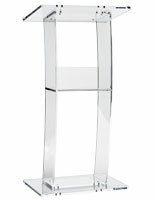 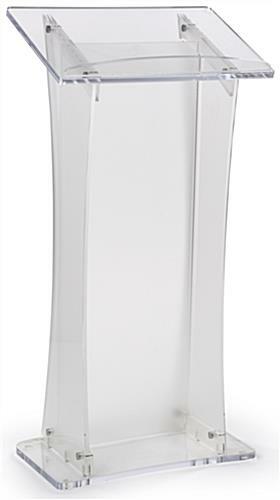 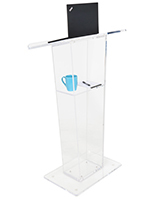 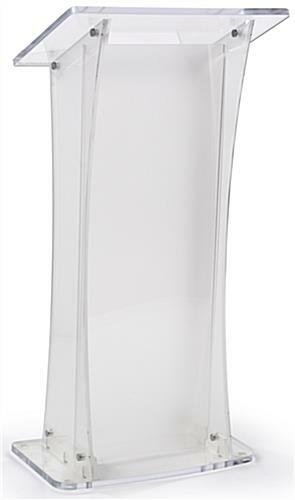 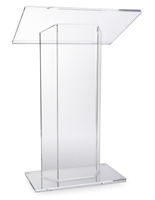 The floor standing acrylic podium ships flat and assembles quickly for easy transportation. 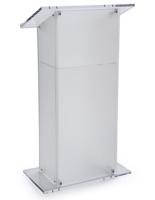 23.5" x 47.0" x 15.0"
23.0" x 1.0" x 13.0"